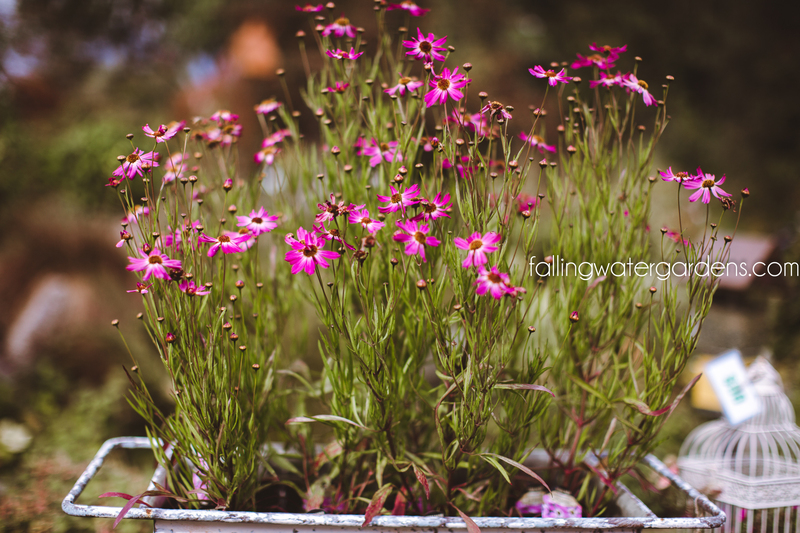 Coreopsis ‘Pink Sapphire’ has hot-pink flowers with white eyes. 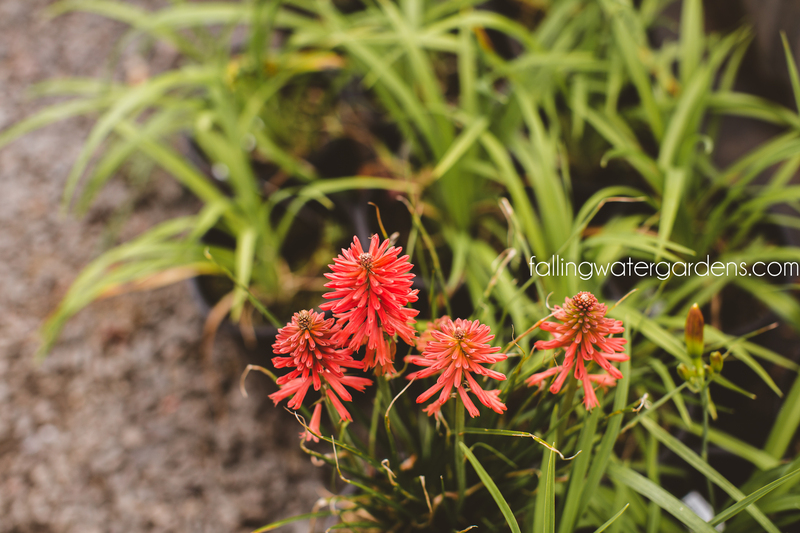 A low-growing, upright plant, ‘Pink Sapphire’ blooms for 5 months out of the year. Additionally, ‘Pink Sapphire’ is a hardy coreopsis variety. 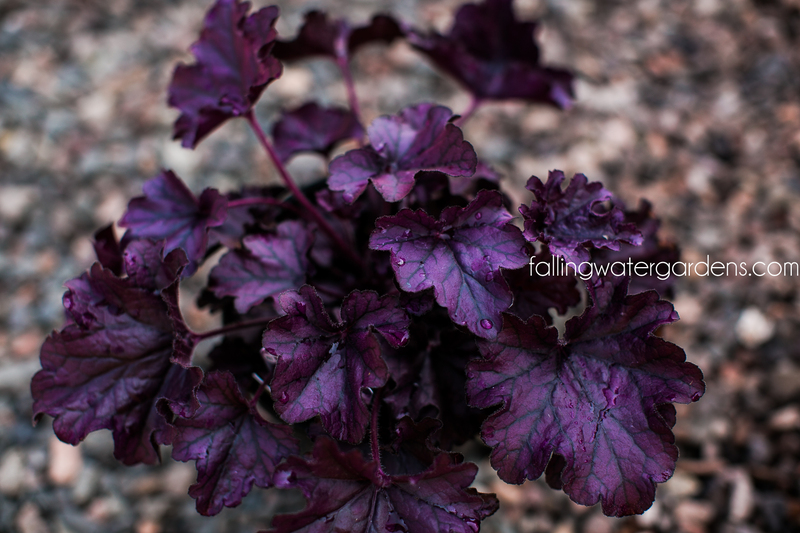 ‘Forever Purple’ is a knockout with ultra-purple glossy leaves with fluted edges and great vigor. Very short spikes of purple-pink flowers in summer and four seasons of purple. Showy cup-shaped, purple-blue flowers appear over a long season from mid-spring into summer. Nice, tidy habit is well-suited for walls and crevices, edging, rock gardens and containers. Excellent cut flowers. An herbaceous perennial. 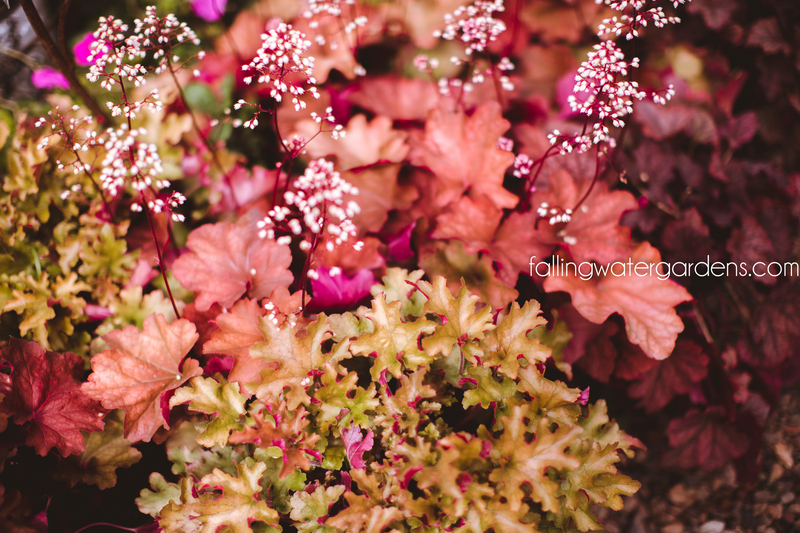 Dramatic foliage ranges from deep golden to glowing reddish pink with undulating margins. Golden mature foliage features contrasting hot pink undersides. 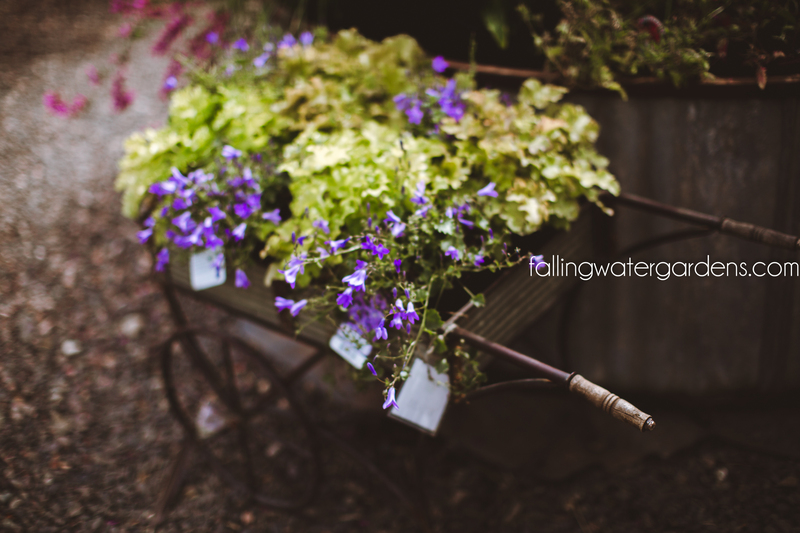 An outstanding seasonal accent for border or woodland garden. PINK CHINA: Brilliant pink stems and rich green leaves with a pink dot in the center add vibrant color to any container or garden. Possibly the hardiest of all colocasias, ‘Pink China’ can tolerate zone 6 with a heavy layer of mulch as winter protection. It makes the perfect tropical plant for people in colder zones. 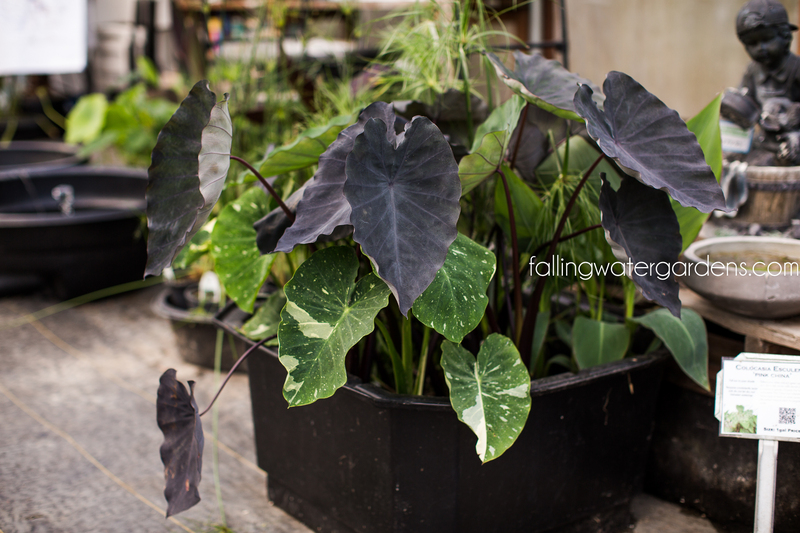 BLACK MAGIC: Black Magic’ is an elephant’s ear cultivar which features unusual purplish-black leaves. It is a tuberous, stemless, frost-tender perennial of the arum family (see also calla lily and jack-in-the-pulpit) which typically grows 3-6′ tall and as wide. It is primarily a foliage plant with huge, heart-shaped, conspicuously-veined, downward-pointing, peltate leaves (to 2′ long) on long petioles. As the common name suggests, each leaf purportedly resembles an elephant’s ear. Best grown in humus-rich, evenly moist, well-drained soils in full sun. Grows well in sandy soils. Intolerant of wet, heavy soils. Plants require sharp soil drainage, particularly in winter when root rot can be a severe problem. Best with a full sun exposure, but tolerates some light shade in hot summer climates.